Hello! 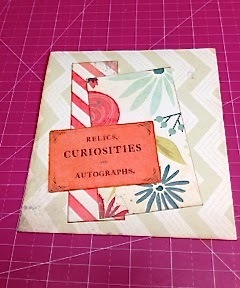 Apryl here today with FotoBella giving you a quick card tutorial made with My Mind's Eye Now and Then Mildred Collection. 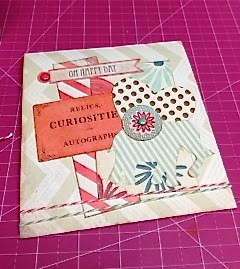 The making of this card is all about layers and not over thinking the creative process. To start I selected my several of my favorite papers from the collection. 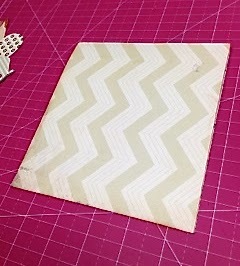 Cut the Chevron paper to 6" x 6" for the base of the card. 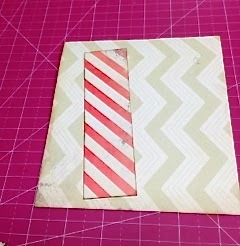 Cut a piece of the diagonal approx. 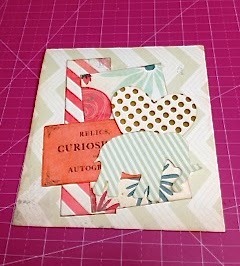 1" x 5.5" and placed it on the left side of the card a little of kilter. 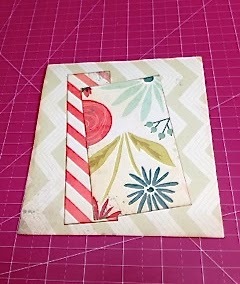 I selected the flower paper and cut another strip, slightly wider and shorter than the last and layered it on top. 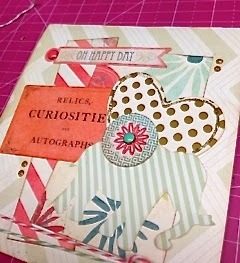 I then dove into the "Mixed Bag" of embellishments. 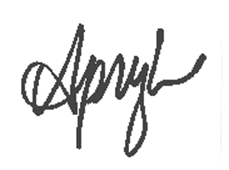 Love this addition to the My Mind's Eye line. 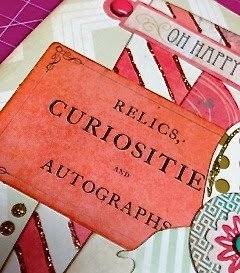 There are lots of fun odds & ends in the Mixed Bag! 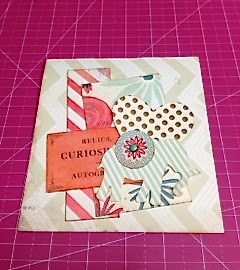 I sifted through and chose several to add to the card. The decorative brad, I added to the elephant. Along with the "Oh Happy Day" banner from the decorative brad selections as well. And then it was time for the Stickles. I haven't used them in a while and felt it was time! 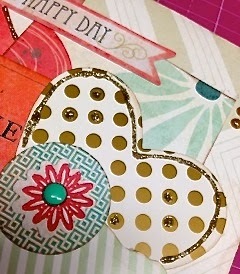 Just what this card needed for that extra touch of sparkle. 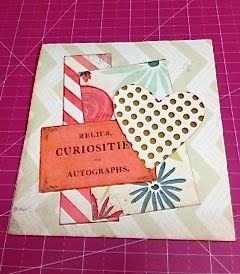 Gold for the heart and a little orange to make those diagonals pop! With a little baker's twine and enamel dots, I put the finishing touches on. A simple and quick card is now ready to go for really any occasion you see fit! Grab your FotoBella bundle of My Mind's Eye Now & Then Mildred Collection today! And get crafting!